Thursday May 16, we spent an hour or so managing an obstacle course for the Montessori Borealis Preschool program at a local park. Like our sledding day, ski day, and walkathon events held this past year, we enjoyed being with this group of future YMS students. It was great fun to see the two groups enjoying themselves together. Kudos go out to the Yukon Montessori students who were great ambassadors of fun. 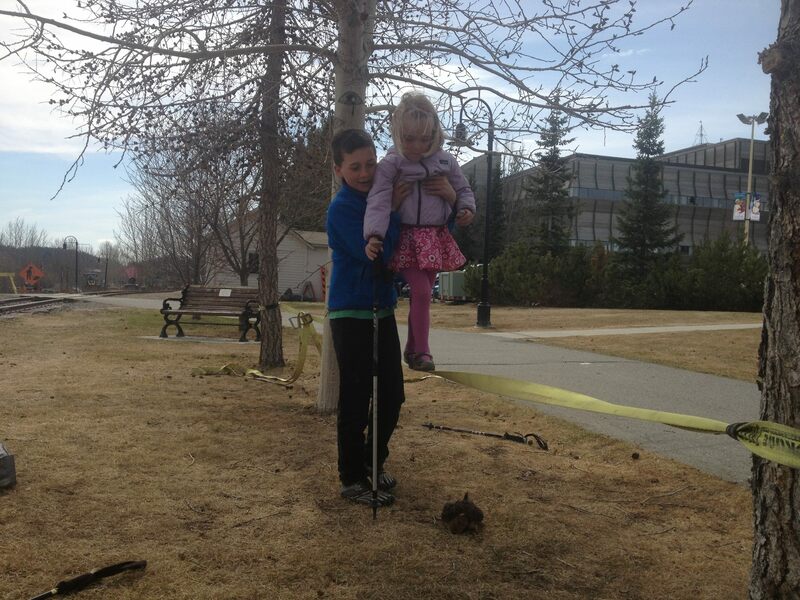 Ben guiding one of the preschool students through the slackline.